It wasn’t hard for the affected sites to continue their operations. Since their servers had not been touched physically it was a simple matter to change a few settings to make the sites available to the public again under a new domain, something achieved in a few minutes. This is exactly what most of the streaming and file-sharing related sites have done. 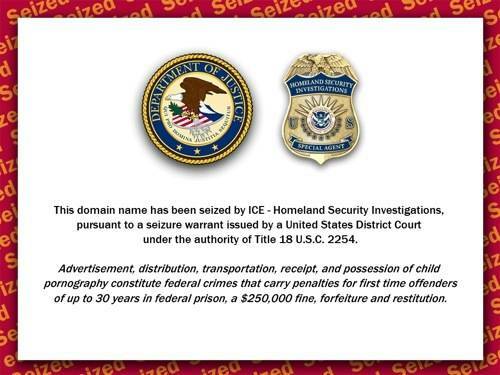 During the latest round of seizures under the “Operation In Our Sites” flag in February, a total of 10 domain names were targeted, belonging to 6 different sports streaming services. Despite the thousands of dollars in tax payer money that were spend on the enforcement effort, all of the sites were back up in no time under new domains. As of today, only one of the six is no longer accessible and that is the site of Bryan McCarthy, who was arrested by the feds last month. McCarthy initially continued his Channelsurfing.net website under a new domain at Channelsurf.eu. The day after his arrest this site was still up and running and it is believed that due to the circumstances he took it offline himself after he was bailed out.